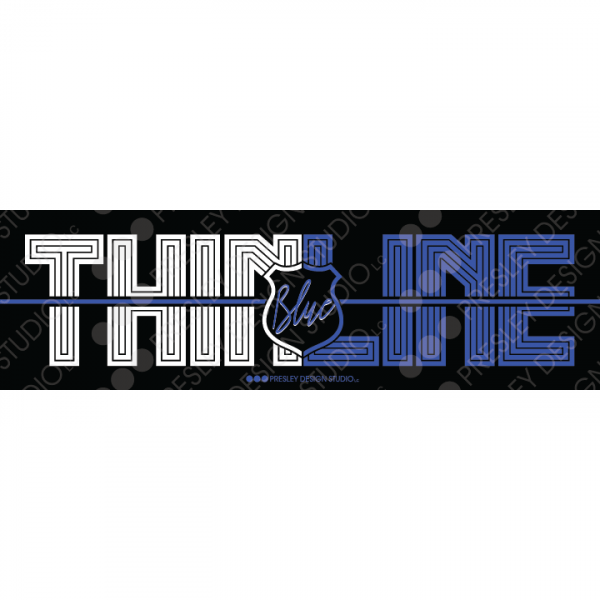 This 3″ x 10″ bumper sticker allows you to creatively show your support for the men and women in blue. Honorable law enforcement officers stand on that thin blue line between justice and non-law abiding citizens. Stick it to your car, notebook, or add it to a bulletin board. Enjoy this great design for all ages. For each sticker sold, Presley Design Studio will donate $2.00 to various organizations benefitting the guys and gals in blue. © Copyright 2002 - 2019, Presley Design Studio. All Rights Reserved.